Happy Holidays! Are you baking cookies this week?! 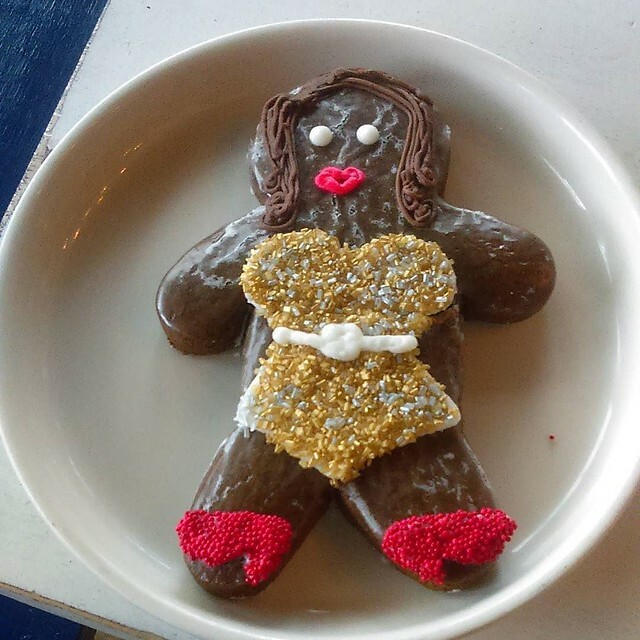 Imagine you're making gingerbread cookies and you over-indulge with the sparkling sugar, so you make Beyoncé gingerbread ginger woman cookies. Cheryl from Back In The Day Bakery showed me this special cookie which is actually too pretty to eat. Also, Cheryl's cook and craft book is included in our holiday gift guide. Check out Back in The Day's Gingerbread House!